After searching out of 100000 galaxies for a particular signs of the presence of an advanced extraterrestrial civilization, a team of scientists using data from NASA’s WISE telescope have found no evidence of intelligent alien life. The idea behind our research is that, if an entire galaxy had been colonized by an advanced spacefaring civilization, the energy produced by that civilization’s technologies would be detectable in mid-infrared wavelengths—exactly the radiation that the WISE satellite was designed to detect for other astronomical purposes. says Jason T. Wright, an astronomer and astrophysicist at the university’s Center for Exoplanets and Habitable Worlds. Wright’s team’s first paper dubbed the “Glimpsing Heat from Alien Technologies Survey” will appear in the Astrophysical Journal, on April 15, 2015. Whether an advanced spacefaring civilization uses the large amounts of energy from its galaxy’s stars to power computers, space flight, communication, or something we can’t yet imagine, fundamental thermodynamics tells us that this energy must be radiated away as heat in the mid-infrared wavelengths. This same basic physics causes your computer to radiate heat while it is turned on. We found about 50 galaxies that have unusually high levels of mid-infrared radiation. Our follow-up studies of those galaxies may reveal if the origin of their radiation results from natural astronomical processes, or if it could indicate the presence of a highly advanced civilization. This research is a significant expansion of earlier work in this area. The only previous study of civilizations in other galaxies looked only 100 or so galaxies and No was looking for the heat emitted. This is a new way. 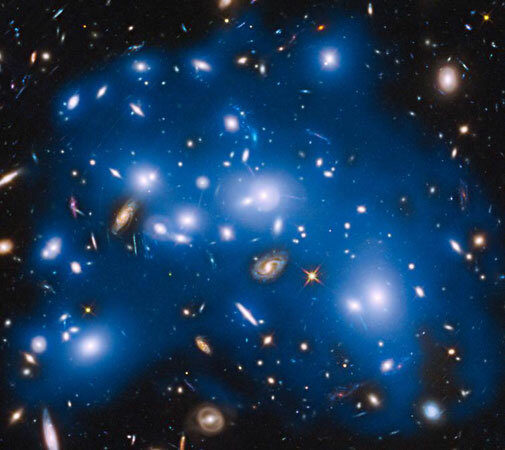 As we look more carefully at the light from these galaxies we should be able to push our sensitivity to alien technology down to much lower levels, and to better distinguish heat resulting from natural astronomical sources from heat produced by advanced technologies. This pilot study is just the beginning.